What comes to mind when you hear ‘employee wellness’? Employer subsidized weight loss programs? Exercise classes? Employee health evaluations? What’s behind employee wellness and how does it achieve its objective? Employee wellness is built on the premise that healthy employees have a positive impact on the bottom line in many ways. ‘Healthy employees’ leads to ‘Happy employees’ and often translates to ‘Engaged and Productive’ employees – which is good for business. Reduce health risks in employee populations. Leveraging in-depth knowledge of healthcare compliance issues and industry trends, your TPA can provide customized reports and guidance to develop and support your wellness initiatives. There are several elements that an employer can leverage to help ensure employee acceptance of and participation in the company’s wellness initiatives. Below we have outlined three of the most impactful. Clear and frequent communication that shares program objectives helps employees understand the ‘why’ behind the program. It is important that employees know how it will work, how they can become involved and the benefits to them (emotional, physical, and financial) as well as the organization. Transparent objectives can also help build trust and motivation with employees. Successful wellness programs actively include the employees in the design of the program. They leverage multiple communication channels like focus groups, ongoing feedback, and employees co-leading the program to help ensure ‘ownership’ and ‘sustainable engagement’. Leaders should not underestimate the power of peer, coworker and family influence and support. 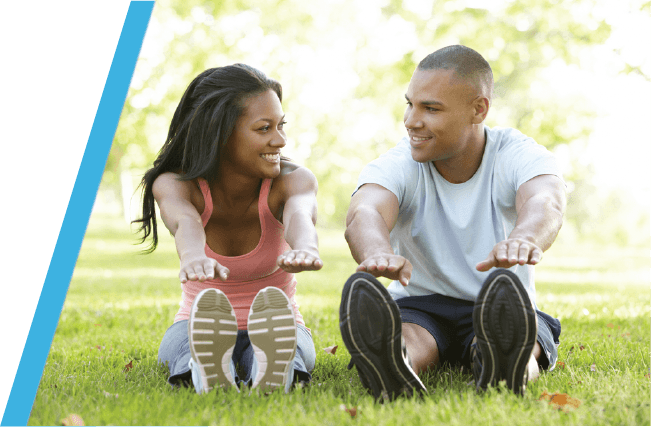 The opportunity to include spouses and family members in wellness programs has been shown to increase participation and engagement. Programs should also provide employees the opportunity to personalize wellness goals that are applicable and achievable for their individual needs and generational differences. Programs targeting a ‘one-size-fits-all’ specific health goal have been shown to be less successful than those programs offering individual personalization. Q: What can I do as the employer to encourage active participation in our wellness program? A: Very simply and low cost – participate in the program yourself. Share your reasons for participating, encourage others to participate, and celebrate results regularly. This will send a powerful message to your employees that shows you care about their well-being! Q: What could be a simple, fun way to engage my employees to be more active in the workplace? A: If your workplace has multiple floors, make the stairwells fun to be in. Encourage employees to decorate the walls with fun, lively graphics making the stairway an enticing alternative to the elevator. For more ideas, search “employee wellness ideas” online. Download the Employee Wellness SmartSheet.